......a fairly flat landscape, beautiful parks with a lot of interesting things to see in them, riverside strolls, small pedestrianised laneways, delicate Victorian arcades, grand government buildings, great window shopping, picturesque churches, modern contemporary architecture, lots of statues and art exhibits, a harbour and loads more. ....... and most importantly it's a pretty safe place to go walking - I've never felt threatened here. 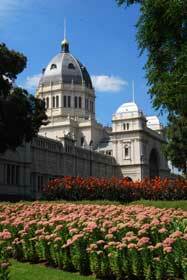 .....Walk Melbourne and discover what it's really like by exploring at your own relaxed pace. ....and a number of other fabulous routes. 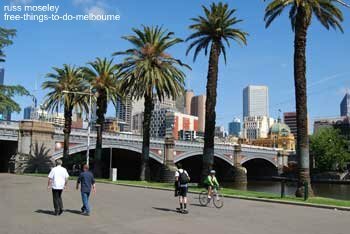 Click on which of the Melbourne walks listed below attract your attention. Seven fabulous walks designed by the City of Melbourne. Delightful walk among historic buildings in a leafy, shady location - great walk for those hot days. A walk past many of Melbourne's best buildings. 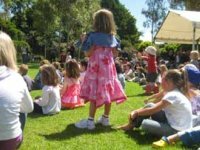 A free guided walk in one of the best Melbourne Gardens. See the spectacular Royal Exhibition Building and 34 other points of interest. An interesting walk with a podcast along the Yarra River - lots of original information. A self-guided tour of 36 outdoor artworks in Docklands. A self-guided walk through old St Kilda looking at architecture and history. Walk created by Heritage Victoria. A walk past 23 marvelous Melbourne buildings, many of them of unique contemporary design. A lovely walk by the Yarra River looking at 23 outside art exhibits and 12 buildings relating to the arts. Also known as the Thousand Steps, this track is located in the gorgeous Dandenong Ranges. As the name suggests, this is a walk along and close to the Yarra River going past various sporting venues, historic and modern. One of the easiest and nicest walks in Melbourne if you like nature. 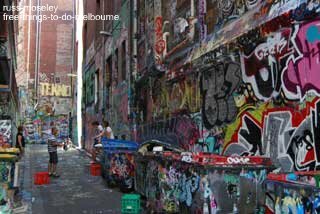 There's lots of walks in and around Melbourne on this page. A free two to four hour tour around Melbourne city centre tourist attractions with City of Melbourne volunteer guides. This is a don't miss! !